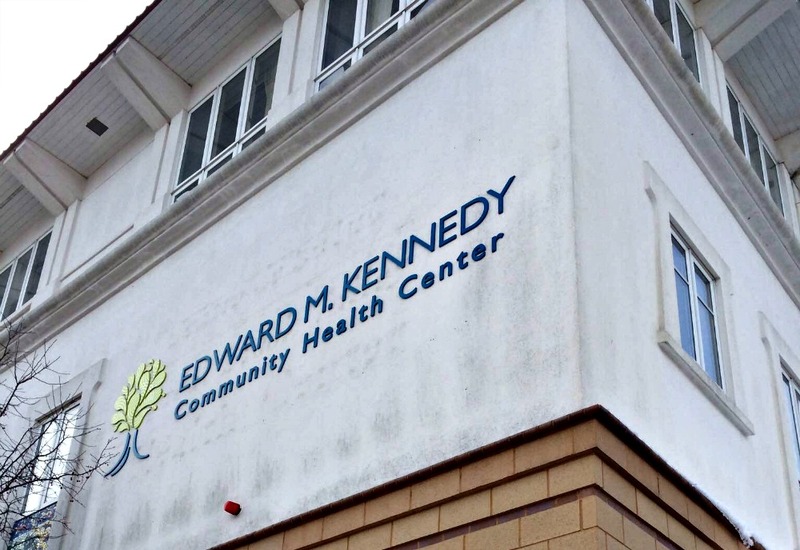 The Edward M. Kennedy Community Health Center was a key contributor in the city's efforts related to the Prevention and Wellness Trust Fund. BOSTON — A multi-year, multimillion-dollar experiment to lower asthma rates, reduce smoking, and steel elders against the risk of falls appears to be drawing to a close in Massachusetts. Seeded with a one-time assessment of roughly $60 million from the insurance industry and some healthcare providers, the state Prevention and Wellness Trust Fund has supported nine programs from Barnstable to the Berkshires, including several initiatives in Worcester, since 2014 that aim to reduce the most prevalent and preventable health conditions, address health disparities and increase healthy behaviors. More than 200 jobs will be lost as funding runs out by December, according to Maddie Ribble, director of public policy and campaign strategy for the Massachusetts Public Health Association. The temporary funding for the nearly four-year-old program is ending at a time when tax revenues have rolled in slower than previously expected, forcing state government to tighten spending on programs around the state. In its version of the state budget, the Senate proposed to pay for the continuation of the program by hiking taxes on flavored cigars, but the compromise annual spending bill the House and Senate delivered July 7 to Gov. Charlie Baker dropped that language. Administered by the city Health Department and in partnership with several area service providers, such as Fallon Health, Family Health Center and Worcester Public Schools, the fund in Worcester primarily addressed fall prevention, childhood asthma and hypertension. 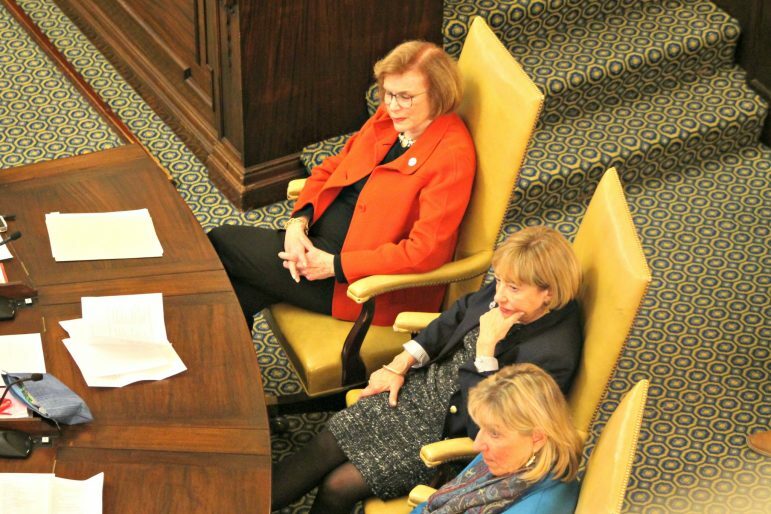 Senate Majority Leader Harriette Chandler sits with other ranking senators during ceremonies marking the new legislative session. Public health advocates lobbied House Speaker Robert DeLeo to go along with the Senate’s funding plan or support bills (S 643/H 2480) that would fund the programs with $33 million annually from the insurance industry. “The House Committee on Ways and Means will continue to monitor the trust and evaluate any potential policy options should they come before the Committee,” a spokesman for the committee told State House News Service. The Prevention and Wellness Trust Fund has been financed with roughly $60 million in assessments from the healthcare and insurance industries under a 2012 cost-control law. The trust has supported partnerships in the Berkshires, Boston, Cape Cod, Holyoke, Lynn, MetroWest, New Bedford, the Quincy area and Worcester. Controversy involving the trust fund bubbled to the surface beginning in late 2015 when it was discovered by a city audit that some employees of the nonprofit Mosaic Cultural Complex, a community partner in the Worcester group, had not been paid. Critics accused Mosaic of not holding up its end of the $6 million grant, however in an exclusive report the Sun spoke with multiple sources who acknowledged the group had administered workshops on hypertension and chronic disease self-management at Edward M. Kennedy Community Health Center — even after its contract with the city expired amid a state Attorney General investigation — throughout 2015 and into early 2016. Supporters of the Prevention and Wellness Trust Fund (PWTF) have pointed to a report that came out Friday, the same day lawmakers sent Baker their fiscal 2018 budget, that found evidence of the initiative working. “There are also indications that PWTF hypertension interventions are benefitting people in all racial and ethnic groups, and those with diabetes, obesity, and treated depression as co-morbidities; that the longer people participate in the interventions, the more their blood pressure declines; and that, to date, PWTF appears to be a very sound investment from the point of view of improving outcomes and controlling costs,” read one of the conclusions by Harvard Catalyst. “It’s funny to shut down a program that has such strong data behind it,” Ribble said, “Walking away from this program will have clear and immediate impacts. It will lead to sicker kids and seniors, higher healthcare costs, and skilled community health workers without a job.